Crime drama meets science fiction in Undermind, a chilling and intriguing ABC series, first broadcast in 1965 and starring Rosemary Nicols (Department S), Jeremy Kemp (Z Cars) and Jeremy Wilkin (UFO). The series is co-scripted by Sci-Fi writer Robert Holmes, who would go on to write 18 episodes of Doctor Who. 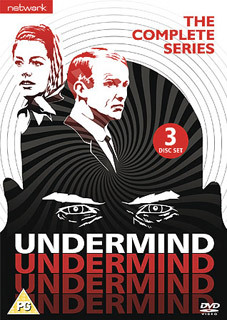 Undermind will be released for the first time in any format in a 3-disc set on 23 July 2012 by Network Releasing at the RRP £29.99.